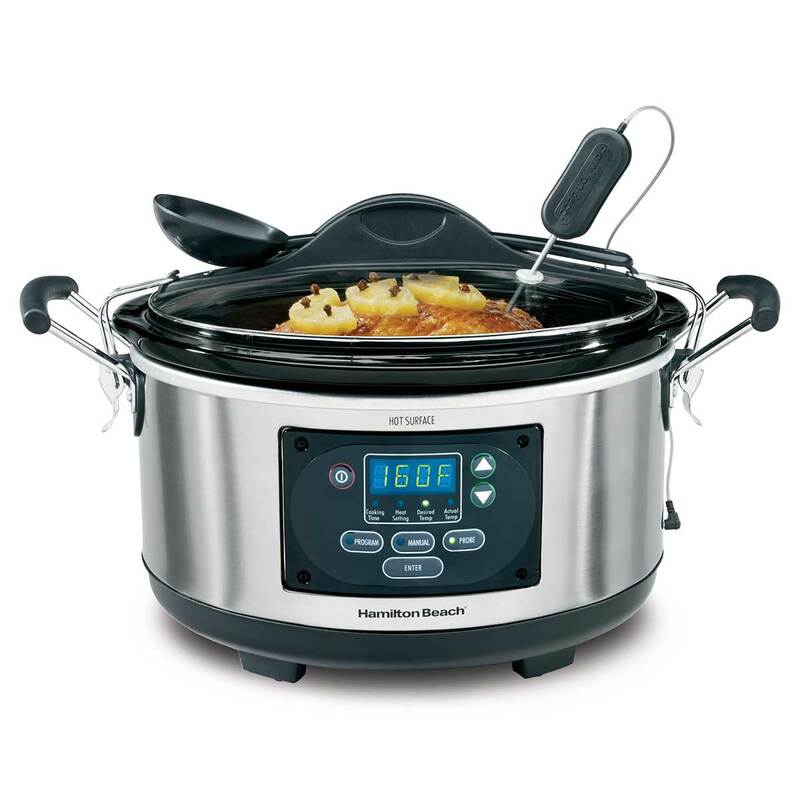 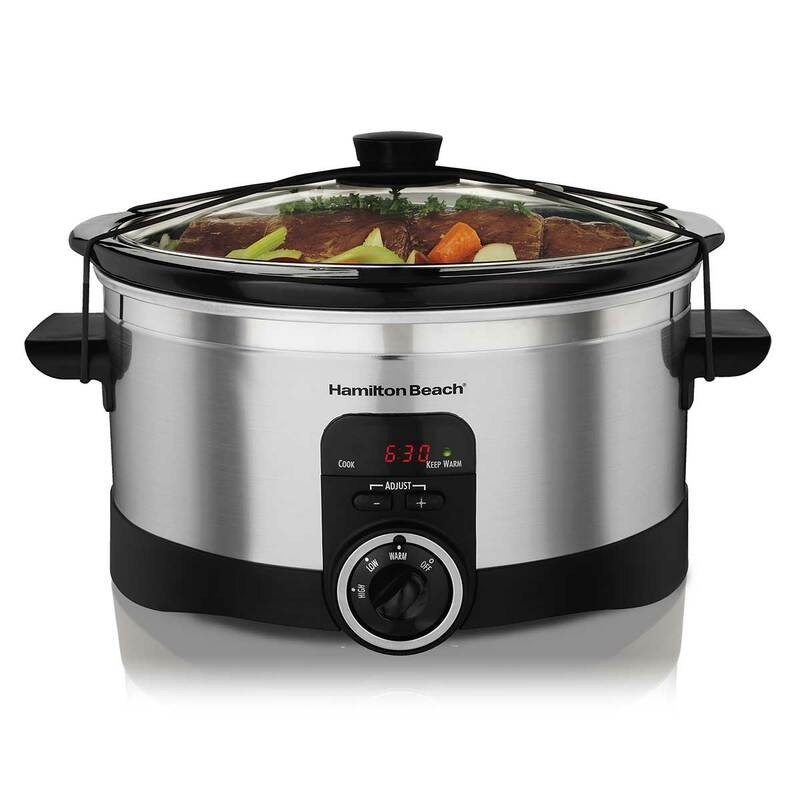 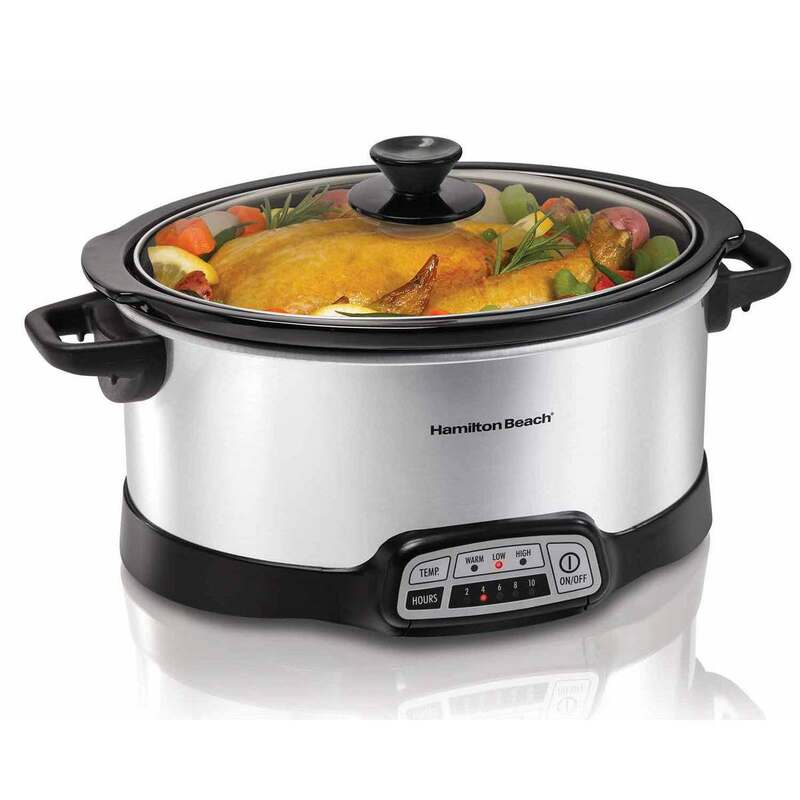 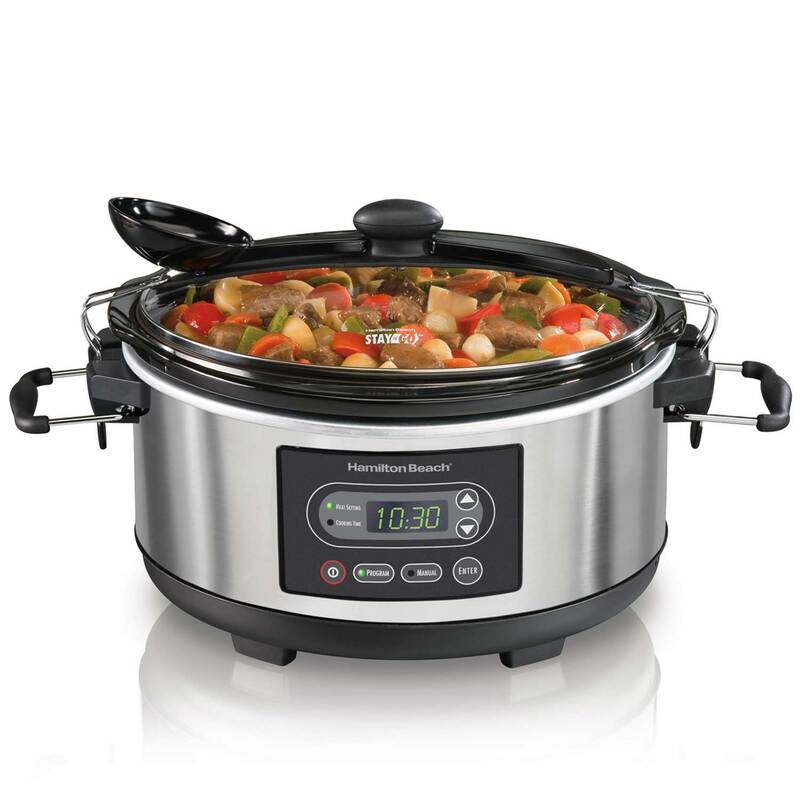 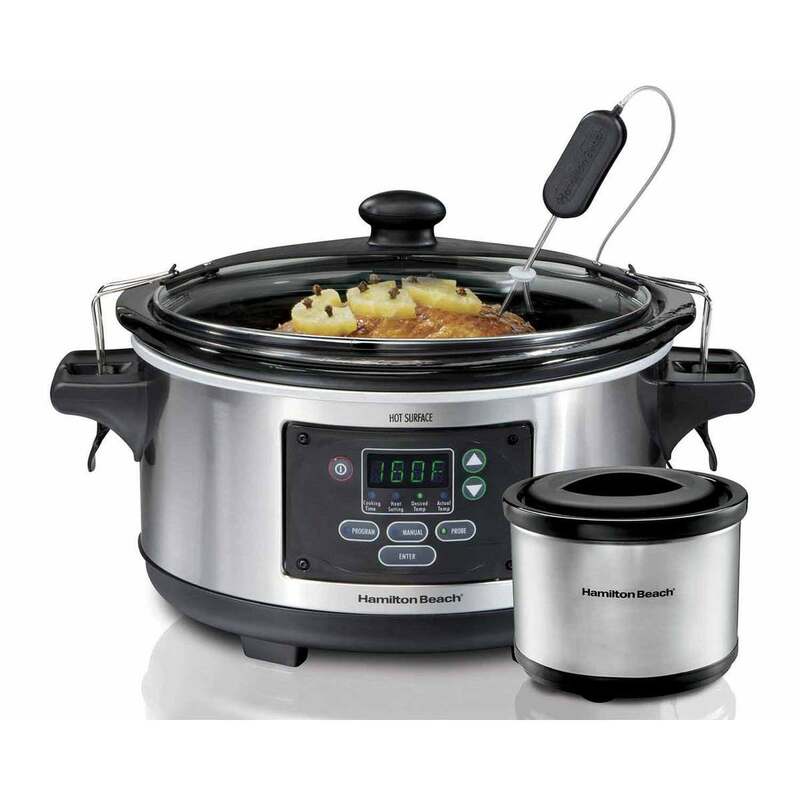 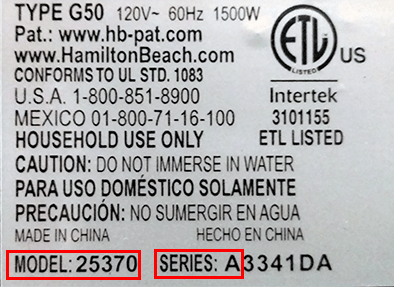 A Hamilton Beach® Slow Cooker with a timer is the ideal way to cook an easy, delicious meal. 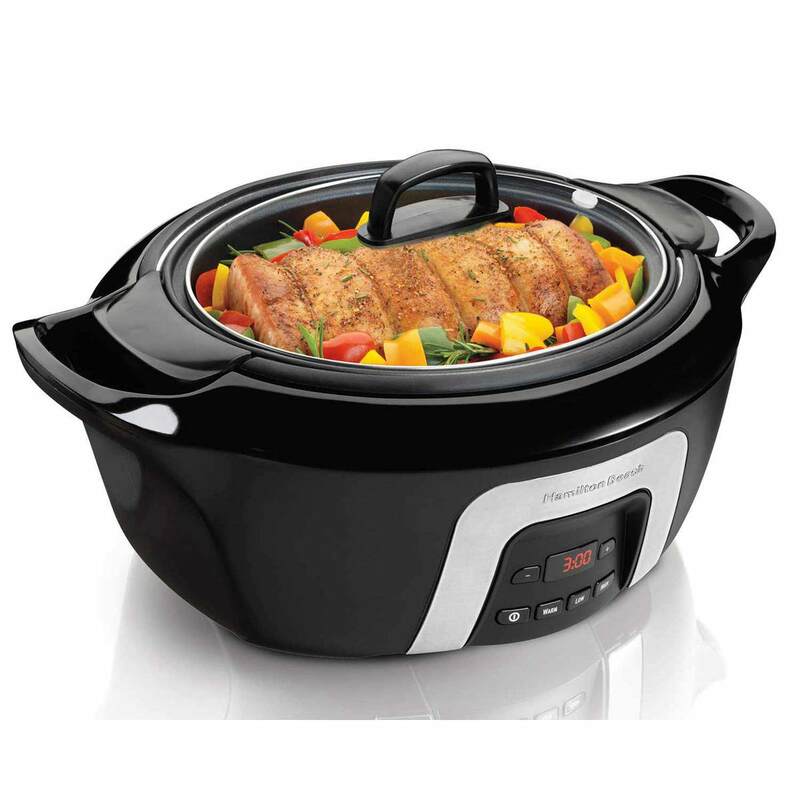 Just put fresh ingredients into the stoneware in the morning, select your preferred cooking time and temperature, and it does the rest. 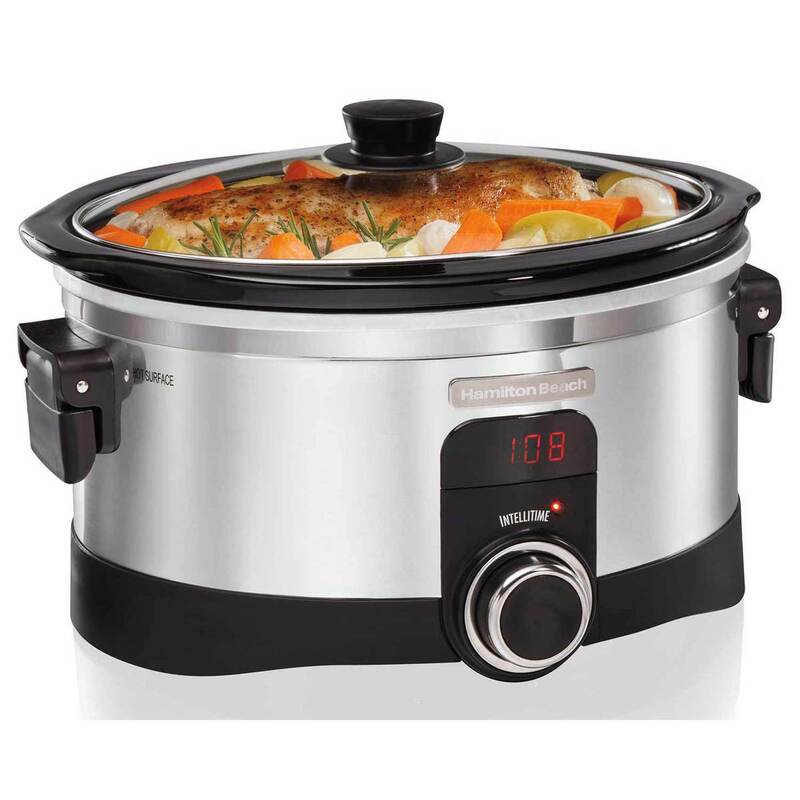 The advantage of using a slow cooker with a timer is that after the cooking time is up, it automatically shifts to warm, so you don’t have to worry about overcooking. 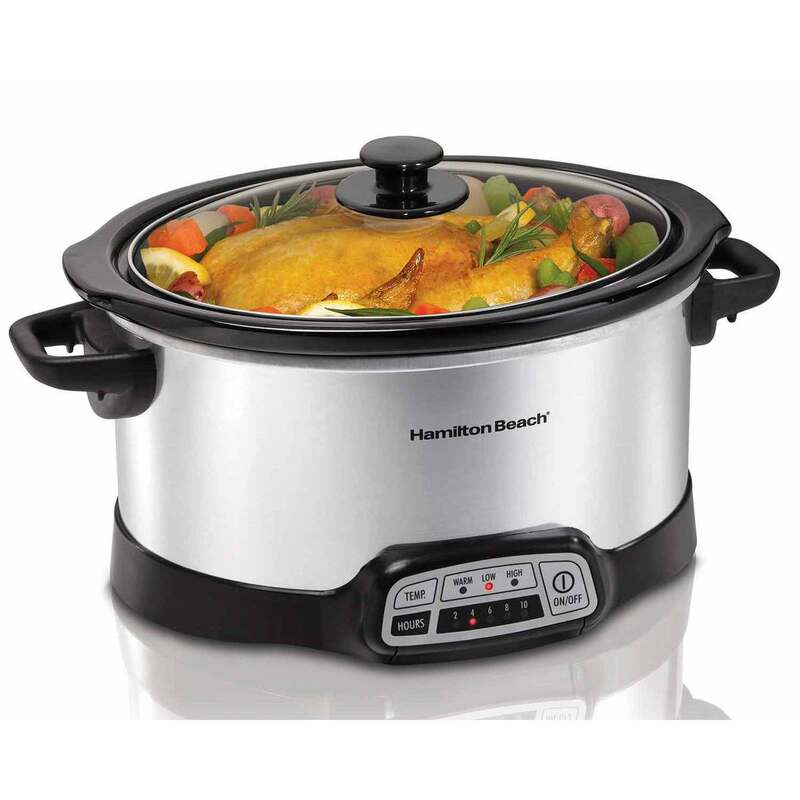 After your meal is over, cleanup is easy since the removable stoneware and glass lid are dishwasher safe.